They should add a plain black or plain white colour to the trousers to make them look less pyjama-like by combining black/white trousers with any of the tops. I think she'd be a great addition! I hate crystal lake map. It all looks the same. 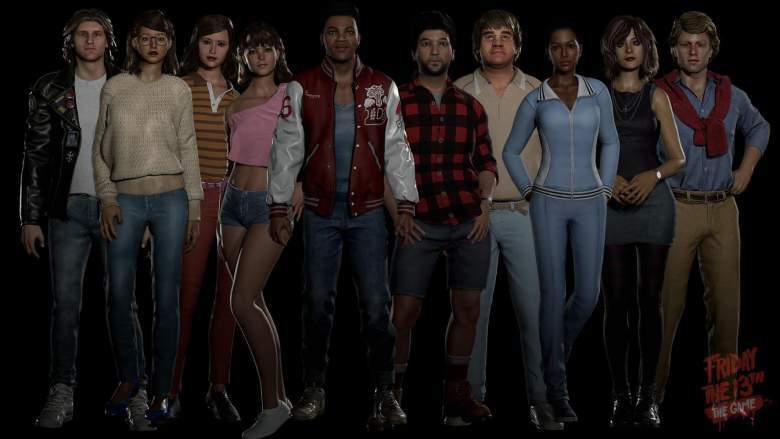 For immersion reasons I'd say it's better having more original characters like AJ who are based on characters in the films as opposed to characters like Fox and Shelley. Don't get me wrong I like Fox and Shelly, and personally I would be happy with Melissa being added as herself (if she's coming next), but I'm happy for the next counsellor to be based on her instead too. Will a new counsellor be included in today's update? I'm really looking forward to a new counsellor, but Pinehurst is gonna be even better! So excited to see what they've got on the map. To be fair to Gun they haven't suggested that there would be... But we know more counsellor(s) are coming due to previous posts about the new 100-150 levels. I'm wondering if today we are getting a surprise counsellor? Or if there's other stuff we don't know about coming today? If not I wonder if a new counsellor is coming with Paranoia. Just to save you all asking ... i'm so excited to see what else is gonna be in this patch! Shifty tweeted there would be upcoming balance update information coming either late last week or this week. I'm making an assumption that there will be content involved in the update too! Well it was revealed they would be talking about upcoming balancing updates this week, so I'd expect there to be some sort of content drop alongside the balancing as per usual to keep things fresh. My ideal would be to see a new counsellor, a new map (Grendel but more likely pinehurst first) and some sort of new clothing pack/kills pack. Would be amazing to get paranoia too if we don't get Grendel. Although a new decent map, new kills and a mean girl would keep me patient for another month.